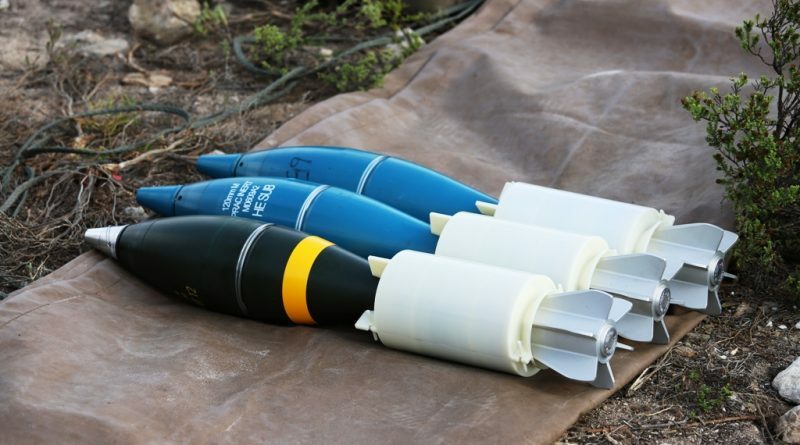 That of mortar bombs is another key field of activity for RDM; increasing lethality and range is not only limited to artillery but also extends to what is often referred to as the “infantryman artillery”, and the importance of mortars in the South African Army was highlighted in the demonstrations held at the Overberg test range that hosted the ADC 2019. The path is pretty similar to the one adopted for artillery, pre-formed fragments being used to improve performances; their known mass and dimensions, we are talking of 3 mm diameter tungsten spheres, allow to have a much better control over terminal effects compared to fragments produced by the bomb shell, which dimensions can vary consistently, hence their speed and lethal range. 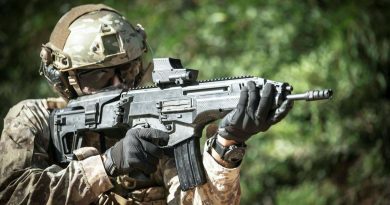 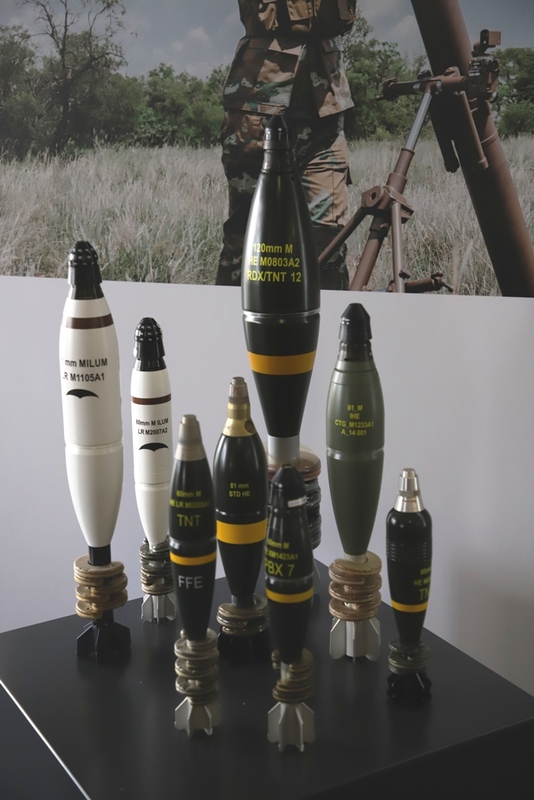 RDM developed its new range of IHE-PFF rounds maintaining the same ballistic tables of its IHE range of ammunition, allowing firing a mix of them without changing firing data. 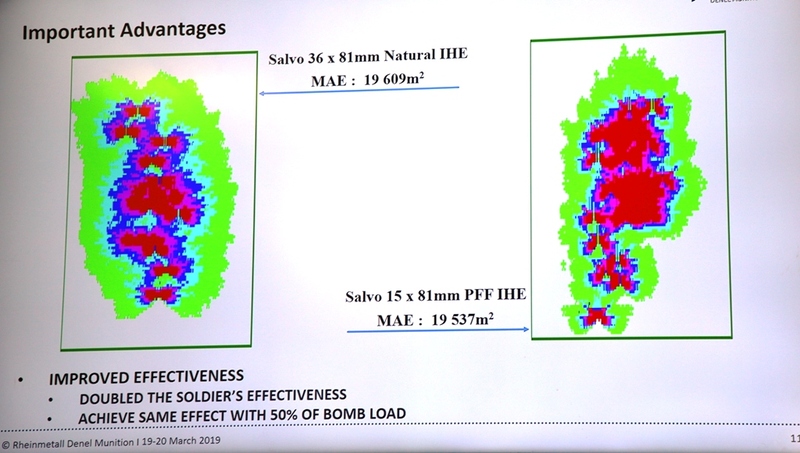 The 60 mm IHE-PFF, developed for the Badger, has a Mean Area of Effect (MAE) comparable to that of the 81 mm HE round, the latter calibre also having now an IHE-PFF round which in turn doubles the MAE compared to the old one. 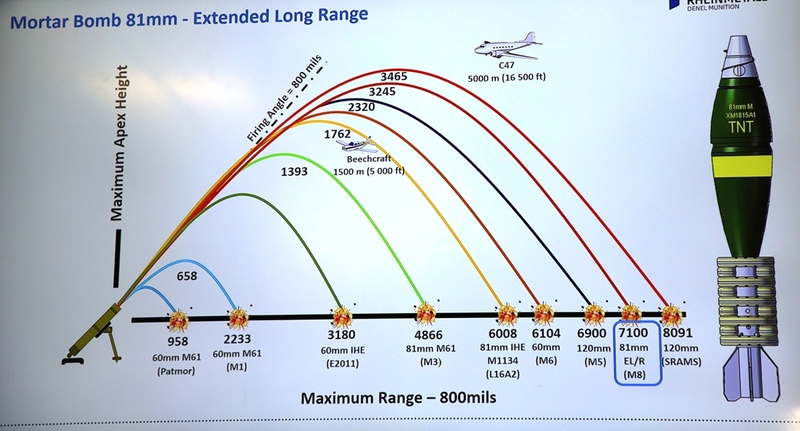 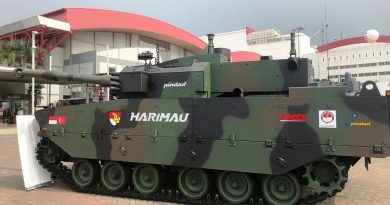 The latter has also been given a longer range using 9 charges instead of the 6-7 used in the past, and this was demonstrated firing some practice rounds at a distance of 7 km during ADC2019, maximum range being 7,100 meters. 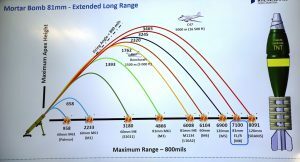 The extended range capability requires a high pressure weapon, thus firing was done using a Denel M8 mortar which can withstand the 147.6 MPa chamber pressure, the M8 fully exploiting the impulse thanks to its 1,455 mm long barrel. 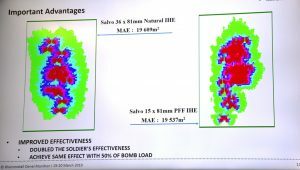 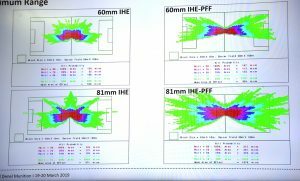 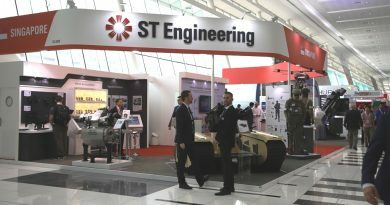 The use of IHE-PFF rounds considerably reduces the logistic footprint, data provided by RDM showing that to cover a MAE of 19,000 m2 a unit should fire 35 81 mm IHE rounds, while using IHE-PFF rounds the number would fall to 15, thus less than half which means a considerable saving in weight and volume, as well as in manpower, a reduced number of mortars being capable to neutralise the target in the same time used by twice the weapons. 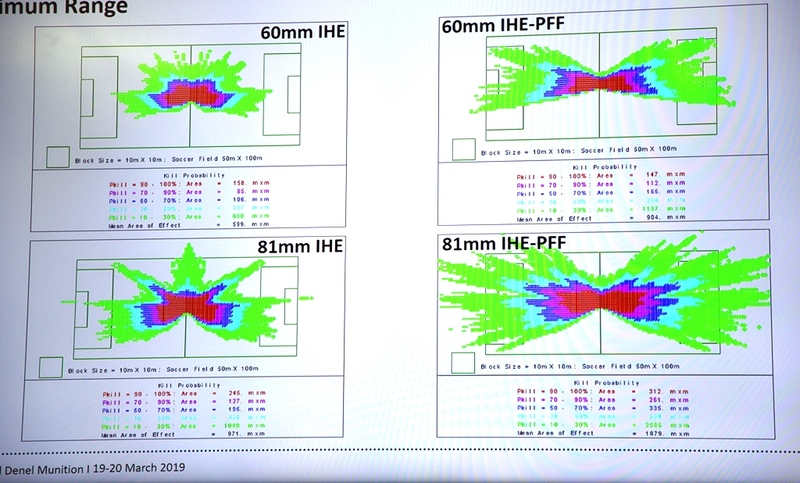 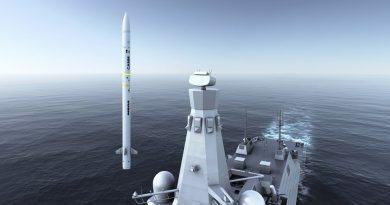 Both the 60 and the 81 mm IHE-PFF rounds are not yet fully qualified, RDM expecting to finalise the qualification process in one year time.